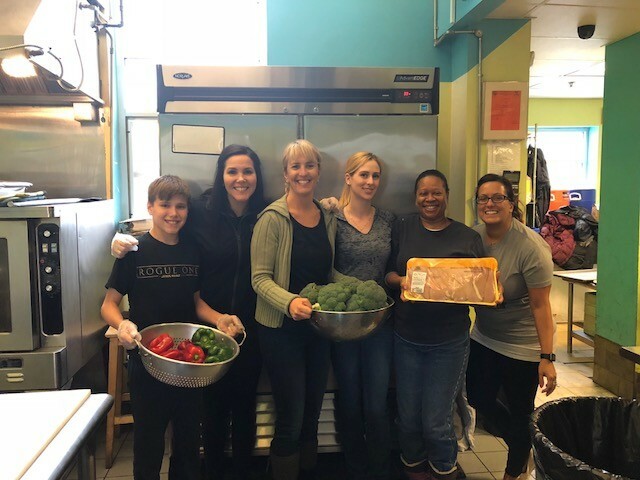 Last week, on March 21st, we teamed up with the Lifebridge team to help provide a meal for the individuals at their shelter, which is in Salem, MA. We helped to feed 71 people and served Dr. Helyne’s Family-favorite recipe, chicken stir fry! When we were at the shelter last week, we had the opportunity to connect with Michael Lembo, the Operations Manager of Lifebridge, who has done many incredible things with this establishment. Lifebridge is a campus that truly prides itself on being more than a shelter. Through their community-based approach, they have seen huge success in their end goals, targeting the need of homeless and disadvantaged adults, and helping these individuals to find permanent housing. They have found that there are two main factors that contribute the most heavily to the massive problem of homelessness. These two items are lack of affordable housing and persistence of poverty in our area. Boston and its surrounding areas have one of the highest cost of living in the country, and as a country, we find that 30/10000 people are homeless. This all being said, Massachusetts has had one of the largest decreases in homelessness in the past year, with a reported 2,000 people that have made the transition into permanent living. We, at Paradise Dental Associates, have committed to volunteering and providing dinner in the Lifebridge Kitchen, once a quarter through 2018. We are dedicated to giving back to the community and fully support the efforts of Lifebridge and their continued outreach work. It takes a village.